Water quality monitoring can be used to determine whether outside events are changing the water quality entering the golf course, or whether the golf course is having a positive, neutral, or negative effect on water quality. It also provides a body of evidence of the golf course’s environmental impact. The number of samples per course is highly variable and depends on the size, location, and number of water sources on or near the golf course. The entry and exit points of golf course water sources are logical sampling points. However, sampling and analysis of standing water sources (ponds and lakes), springs, and any other irrigation sources should also be conducted. For golf courses in the planning stage, baseline water quality levels should be measured prior to construction at points of entry and exit of flowing water sources on or surrounding the golf course and on any surface water. This information can be used to form a baseline of flow and nutrient/chemical levels. For established courses, ongoing, routine water sampling provides meaningful trends over time. A single sample is rarely meaningful in isolation. Sampling parameters are based on golf course operation and basin-specific parameters of concern, such as TMDLs. Typically, samples should be analyzed for nutrients, pH and alkalinity, sediments, and suspended solids; additional analysis can include DO, heavy metals, and any pesticides used on the golf course. Samples should be analyzed by a certified laboratory and all quality assurance/quality control (QA/QC) procedures must be followed. Golf course management must have good data to make good decisions. If a golf course should ever need to produce data for an agency or go to court to defend the facility, the data must meet QA/QC standards to be defensible as evidence. 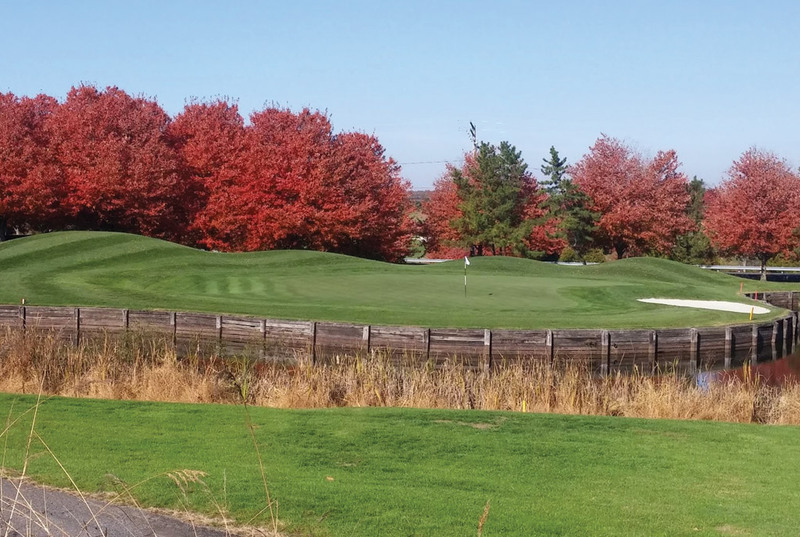 For more information on developing a water quality monitoring program and for an example water quality monitoring report, see Appendix A in Environmental Best Management Practices for Virginia’s Golf Courses. 2012. Virginia Golf Course Superintendent Association (VGCSA). Prior to construction, establish baseline water quality levels. A seasonal sampling program (four samples per year) is recommended. Semi-annual testing is acceptable once baseline data is established. Identify appropriate sampling locations and sample at the same locations. Follow recommended sample collection and analytical procedures. Implement corrective procedures if indicated in water quality monitoring reports.